115,21 € 115.21 tax incl. The well known variator MALOSSI VARIOTOP mounted normal ... certainly one of the best variator competition. This drive remains identical to the inverted model or in direct drive but is mounted as a banal drive at the place, the movable cheek is found outside and the fixed side play engine, moreover, this drive takes over the clutch and the fixed cheek of the original drive to preserve the clutch and not be in direct contact. 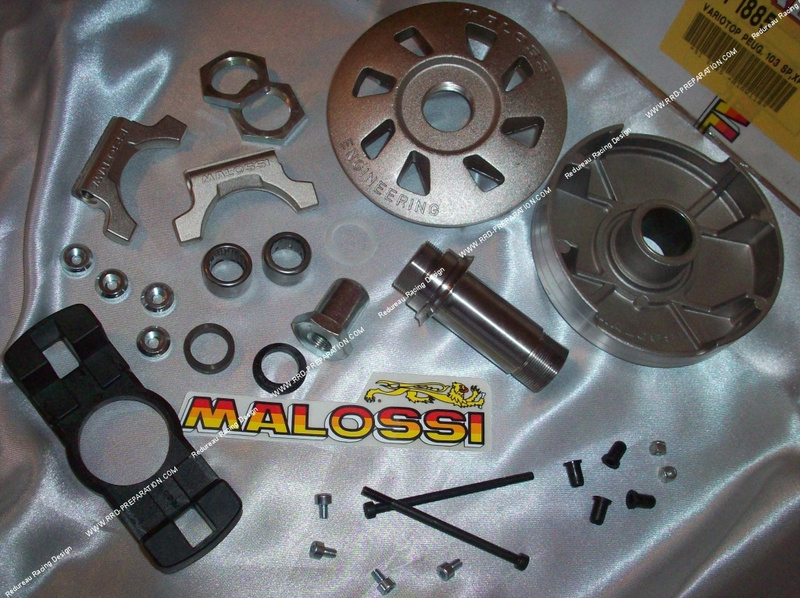 With this drive, we recommend a standard MALOSSI belt for Peugeot 103 SP, MV, MVL, LM ... As well as a clutch disc / star racing to strengthen the clutch and make it hang later, a good racing motor spring will also be welcome. This drive will offer you a higher range of use, a better revving (more longitudinal) and more solidity especially on high-performance engines that will quickly wear the vario.